Today is the first Sunday of the 2017 NFL season that kicked off last Thursday night. 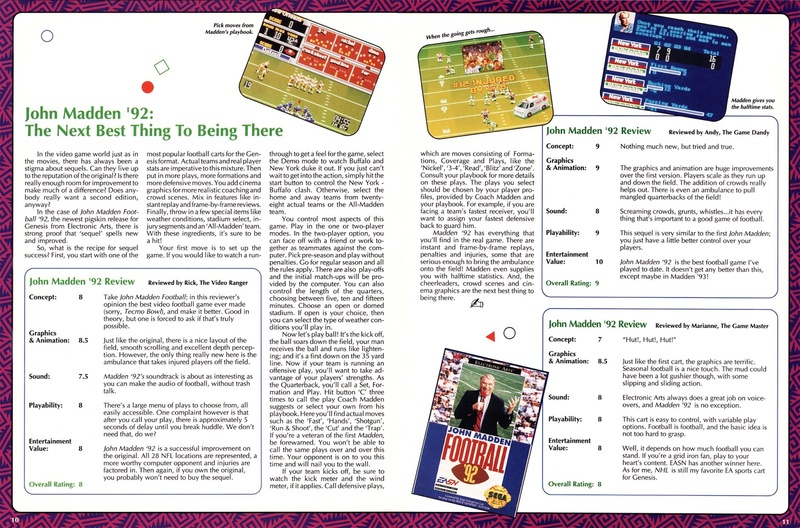 There were numerous football video games released in the '80s and '90s but I didn't have time to do a large project and this is very last minute. 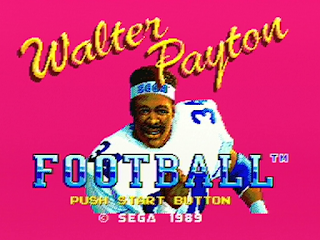 I've posted a YouTube video today of the Sega Master System's Walter Payton Football as well and was able to find a review of that game from GamePro that I've included here. 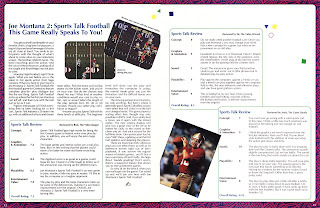 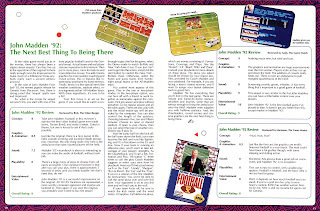 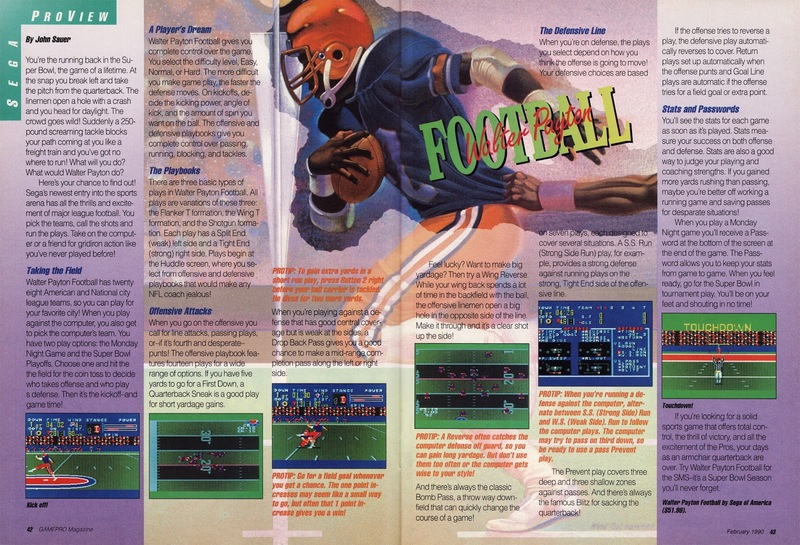 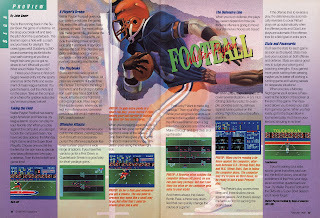 While I hope to put together something more complete for the Madden series in the future, this time around I was only able to scan a couple reviews of John Madden Football '92 for the Sega Genesis along with its main competitor that year, Joe Montana II: Sports Talk Football. 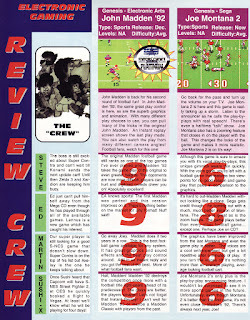 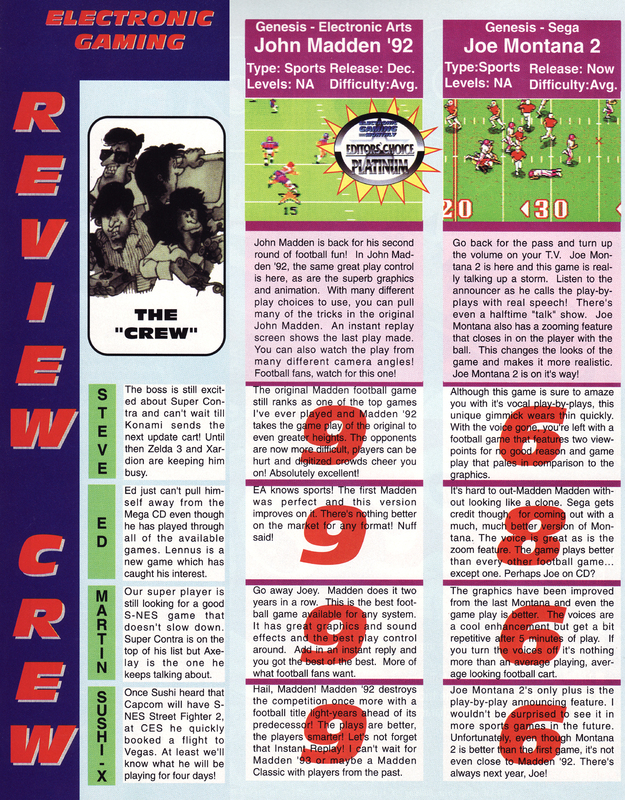 Lastly is a review from Video Games & Computer Entertainment (VG&CE) for John Elway's Quarterback on the Nintendo Entertainment System.